This is a cumulative January and February housing update for the Wilmington North Carolina and beaches, most notably New Hanover, Pender, and Brunswick counties. National level information comes from the National Housing Report through Morgan Stanley. Local county information is pulled from the MLS. The housing market has been great. Prices have been going up and there has been an affordability challenge discussed in the media. The home price appreciation has actually slowed somewhat. It looks like we are on track for about 5.6% for 2019. Granted, we are just into it, so that's from the first two months of the year. On a positive note, the median price of a house has actually fallen, just under 3%. At the same time mortgage rates have dropped about 3.5%, so we have actually had a little bit of easing in the affordability crunch. Homes have gotten easier to buy for some buyers. In national trends, existing home sales were down substantially: 9% January-February year-over-year; and pending home sales were down marginally as well, meaning the number of homes that went under contract compared to the number of homes that went under contract at the same point last year. The inventory of existing homes is up marginally, but still low, and well below the long run average of homes available for sale on the market. The new home inventory and completions continues to grow, particularly in the new homes market, exceeding the average of available homes on the market. The question I ask myself is, "Is this the result of longer days on the market? Is it a result of the appreciation that we've seen over the last year or two, or five? is it a result of mortgage rates that are being charged by lenders?" All these things factor into whether or not people are going to buy a house. On top of that, housing starts have fallen slightly. Maybe this is a reaction by builders to longer days on market and more inventory on the market, especially in the new homes sector. There has been plenty of discussion in the media and in Mastermind groups about a softening of the market. Not a recession. Not a crash. But a softening. That means that is no new homes went on the market, based on what we currently have for sale, we would be out of houses in 2.6 months. A market that is in equilibrium, where neither the buyer nor the seller have a particular advantage, should have about six months. So, we have an extreme sellers' market. The average time it takes a house to get listed and go under contract is 83 days. Anecdotally, under about $350,000, in this area, if the house is in good condition and a good location, it's not staying on the market 83 days. It will be gone in a week. Buyers out there, if you think you are going to get a great deal, figure 2.6% is a great deal right now on a house that is in good condition in a good location. In Pender County, there is a 3.4 month supply of inventory. That's getting closer to a market in equilibrium, but still a sellers' market. Days on market is a little longer at 109. The median price is a little lower at $220,000, with a 97% list-to-sold price ratio. Pender County is a big county. You've got rural areas that are pulling some of these numbers down, and increasing the days on market because that's the nature of the county. Overall, the market is very strong there. Brunswick County currently has a 4.8 month supply of inventory. Still a sellers' market, but not nearly as much of a sellers' market in Brunswick County as it is in New Hanover and Pender Counties. This might be a result of all the new construction that is happening and the fact that we have increased inventory of new homes. Average days on market in Brunswick County is again a little longer, which means that we might be building at a pace that is exceeding the demand right now. There is a 105 days on average on market, with a median price of about $235,000, also at about a 97% list-to-sold price ratio. So, a house that is priced accordingly and within market norms, is going to sell on average for about 97% of its list price. That's a 30,000-foot snapshot and a more local snapshot. 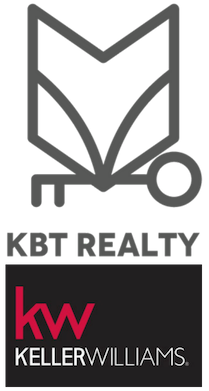 At KBT Realty Group, we are always available to answer questions about our local New Hanover, Pender, and Brunswick Counties, so give us a call.